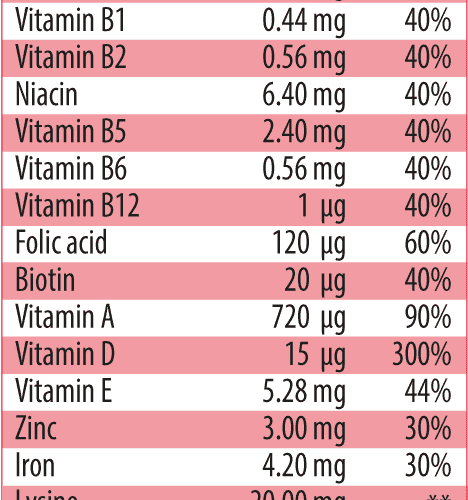 For the development and child´s growth, a healthy and balanced diet is very important. 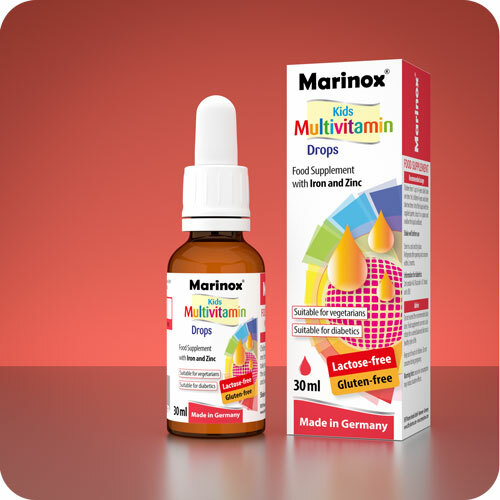 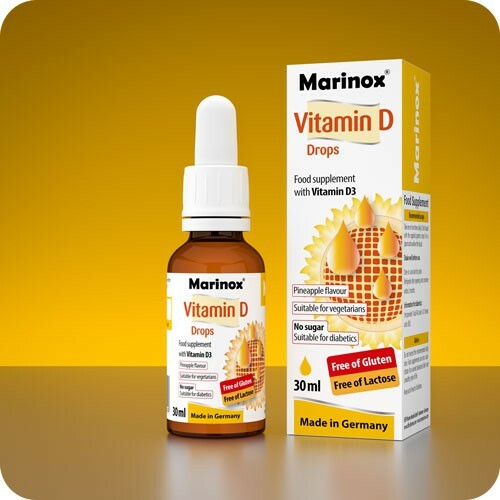 Marinox® Kids Multivitamin Drops with zinc and iron come with a great orange taste. 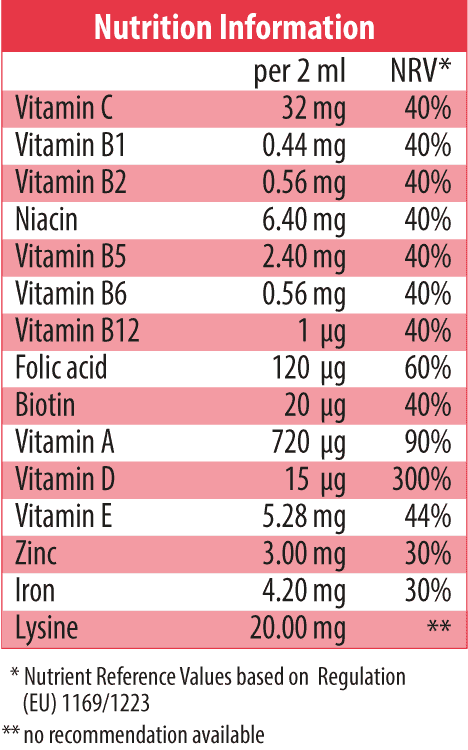 They feature a formula of micronutrients, which is particulary suited for this age group to supplement the daily diet. 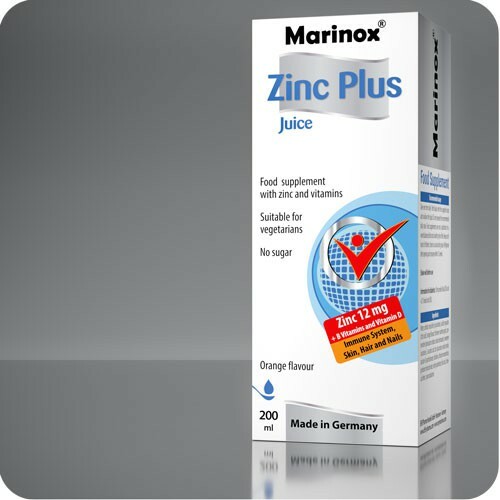 Water, sorbitol, orange juice concentrate (4%), L-ascorbic acid, iron(II)gluconate dihydrate, zinc gluconate, L-lysine hydrochloride, emulsifier (polysorbate), flavour, D,L-α-tocopheryl acetate, niacinamide, thickener (xanthan gum, erythritol), acidifier (citric acid), calcium-D-pantothenate, preservative (potassium sorbate, sodium benzoate), sweetener (acesulfame-K, sodium saccharin, sucralose), pyridoxine hydrochloride, riboflavin, thiamine hydrochloride, retinyl palmitate, folic acid, D-biotin, cholecalciferol, cyanocobalamin.